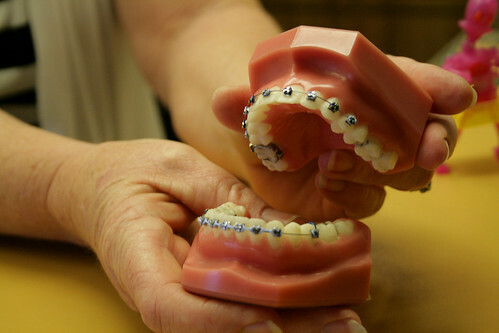 Home › Dental › How to Clean Your Teeth Properly When You Wear Braces? How to Clean Your Teeth Properly When You Wear Braces? If you have been fitted with braces it’s important that you brush your teeth properly every day. You’re wearing them because your teeth need to be fixed, so don’t let new problems develop by being lazy. Your dentist should have taught you how the brush them when they were fitted, but young people don’t listen and they can forget things easily. We’re going to go through all the main points again because your teeth won’t start rotting if you know too much. If you have an electric toothbrush it will make life a lot easier because brushing your teeth manually when you wear braces will take you longer than usual. If you don’t need to do anything because your toothbrush is electric you won’t feel the need to rush things. Just place the brush on each tooth and go gently up and down for a few seconds before moving on to the next one. 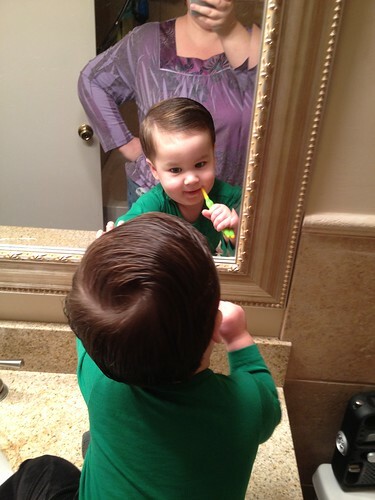 Take your brush and stick it perpendicular to your teeth. Now move the brush up and down a few times until you feel that you’ve cleaned each tooth enough. Remember to apply pressure otherwise you won’t be cleaning anything, but not any more than you normally would. The brush actually needs to touch each tooth which is where the problems begin when you wear braces. You will also need to clean the back of your teeth, which is a lot harder to access because you won’t be able to see what you’re doing. Open your mouth as wide as possible before you put your brush in and keep it a little straighter. This is so you reach the top of your teeth as they can be missed out if you keep your brush at a 45-degree angle. There is a chance your teeth will look bad once your braces come off and it’s usually because you haven’t cleaned close enough to the brackets. It causes demineralization and white spots will appear on your teeth. Can you imagine wearing braces for a few years in order to make your teeth worse? Make sure you clean close to the brackets to prevent this from happening. It’s a little more difficult but you can still floss your teeth if you’re wearing braces. Just be very careful and make sure you floss properly. You don’t win any prizes for dislodging pieces of chicken that are stuck in between the teeth. You have to apply a lot of pressure to scrape the plaque off because that is what will do the real damage. You will find that a lot of food gets caught in your braces and it’s your job to get it out as soon as possible. You don’t want to leave it in there for too long because it will feel horrible, but it will also turn your braces into a breeding ground for bacteria. You should try to brush your teeth after each meal if a lot of food is getting caught up in your shiny mouth jewellery. When you brush your teeth it’s going to feel weird and it’s the reason why a lot of people neglect them. Those are the people who will end up with horrible smiles, but you won’t if you look after your teeth properly. Have you ever jumped in the shower with a coat on? It will feel weird in the beginning, but eventually you will get used to it and it’s the same with your braces. Go away and practice now while it’s fresh in your mind. Author Bio: Today’s featured writer, Jenny Wadlow, is a freelance blogger. Through her blogs, she writes about dental hygiene and helps people on matters of dental health. She believes wearing braces is one of the best smile & crooked teeth makeovers available in the market. I remember how difficult it was to care for my teeth while I had braces. 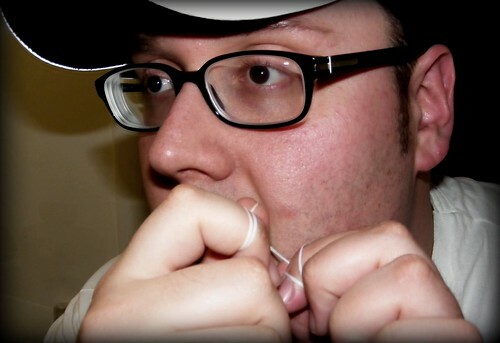 Flossing was especially hard, because I had to thread it through the braces. However, getting a little extra help from an electric toothbrush would help out a lot! I have heard that brushing with braces is pretty tough. You have some great little tips though, especially about not missing the brackets, that is important. I remember by sister talking about that when she had braces.